The Department of Agriculture, Forestry and Fisheries briefed the Portfolio Committee on Agriculture, Forestry and Fisheries about all outstanding matters and reports of the Department. These ranged from the drought resistant maize seed, challenges on animal and plant diseases, distribution of veterinarians and mobile clinics, the DAFF’s integration process of the organisational structure, and the ocean economy and the Marine Living Resources Act review, to the Comprehensive Agricultural Support Programme (CASP) and Fetsa Tlala programmes, and a progress report on the revitalisation of irrigation schemes. Regarding the drought tolerant maize seed, the Agricultural Research Council (ARC) had distributed 10 000 seed packs (of 500 grams each) to smallholders in Limpopo, Mpumalanga, North West, Free State and KwaZulu-Natal, to promote it among the farmers. The recorded yield for the drought-tolerant maize varieties in Limpopo was 1.14 t/ha, in comparison to previous yields of 0.6 t/ha. In the North West Province, farmers achieved 2 t/ha vs 1.5 t/ha (with an average rainfall of 250 mm). The DAFF had developed an integrated planning framework for policy facilitation and programme coherence with the provinces, which had been. The Operation Tshwaraganang concept document, which directed engagements with provincial agriculture departments and state-owned entities regarding aligning planning and reporting on sector priorities, had also been developed. South Africa was responding to contentious issues related to African Growth and Opportunity Act (AGOA) agreements, which were around the import of pork, poultry and beef from the USA. Agro-industries value chain roundtables had been established to provide a platform or a forum for the private sector and government to build and implement joint action plans to improve industry competitiveness, profitability and sustainability over the medium to long-term period. Currently, three value chain roundtables were operational within the fruit, aquaculture and wine industries. Requests for the establishment of value chain roundtables had been received from the red meat, poultry, tobacco and wheat industries. With regard to the protection of the seas, it was stated that poaching in South Africa is part of a global transnational organised criminal activity and should be tackled by all law enforcement agencies. The problem is rife along the South African coastline particularly in the Western and Eastern Cape, and corruption amongst government officials and associated drug dealing activities aggravate this challenge. It was pointed out that the aquatic animal health was not provided for adequately in the Marine Living Resources Act (MLRA). It was critical that the scope of the MLRA was broad enough so that the Minister had powers to gazette appropriate regulations. No delegation existed for small scale fisheries’ managers, and this must be provided for in the Act, and the more general these delegations were, the better, so as not to hinder service delivery. Members wanted to know what the perceptions were regarding the drought tolerant maize seed, and why it was difficult to make it available; they asked how rural farmers were accessing the vaccine for Lumpy Skin Disease; how far the DAFF was with the Animal Welfare Bill; what had been the terms of the horse mackerel issue court settlement; what the timeframes were regarding the DAFF integration process and the implementation of a multi-pronged strategy; what plans were in place, seeing that the budget for the vessels had been decreasing while the challenges at sea were big; and wanted to know what happened to confiscated abalone. Mr Mike Mlengana, Director-General: DAFF, briefed the Committee on a number of outstanding issues and reports of the Department. These ranged from the drought resistant maize seed, challenges on animal and plant diseases, distribution of veterinarians and mobile clinics, the DAFF’s integration process of the organisational structure, the ocean economy and the Marine Living Resources Act review, to the Comprehensive Agricultural Support Programme (CASP) and Fetsa Tlala Programmes, and a progress report on the revitalisation of irrigation schemes. This project was conducted in South Africa, Kenya, Mozambique, Tanzania and Uganda with funding from the Bill and Melinda Gates Foundation, the Howard G Buffett Foundation and the United States Agency for International Development (USAID). In 2014, the Agricultural Research Council (ARC) distributed 10 000 seed packs of 500 grams each to smallholders in Limpopo, Mpumalanga, North West, Free State and KZN. The intention was to promote the new drought tolerant variety among the farmers. Farmers planted either in the 2014/15 or the 2015/16 season, so exact information on the number of farmers who planted the seed was difficult to provide. Recorded yield for the drought-tolerant maize varieties in Limpopo was 1.14 t/ ha in comparison to previous yields of 0.6 t/ ha. In the North West Province, farmers achieved 2 t/ ha vs 1.5 t/ ha (with an average rainfall of 250 mm). There was no seed available for commercial scale plantings in 2015/16. Some animals had shown signs of Lumpy Skin Disease, and under normal circumstances, farmers were advised to vaccinate against it in time to avoid animals getting sick from it. Regarding foot and mouth (FMD) in Limpopo, the animal health technicians (AHTs) refer relevant cases to veterinarians, but are able to attend to basic cases. AHT’s are supervised by control AHTs, and in Limpopo there is one for each of the 25 municipalities. Every ward is covered by AHTs, who are supported by veterinarians. These controls are supported by a veterinarian, but these veterinarians may be responsible for more than one municipality. 200 000 cattle were vaccinated at least three times a year in the designated FMD vaccination zones, including Mpumalanga. The DAFF had developed an integrated planning framework that has been approved by the Executive Committee (EXCO). The framework informs all departmental planning matters. The Operation Tshwaraganang concept document had been developed -- it directs engagements with provincial departments of agriculture (PDAs) and state-owned enterprises (SOEs) regarding aligning, planning and reporting on sector priorities. An SOE’s governance and reporting framework had been developed, and terms of reference had been developed to establish a task team made up of senior officials from SOEs and the DAFF to finalise the framework for approval and implementation. 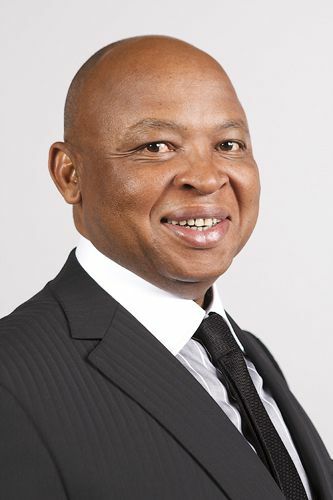 The DAFF had organised a quarterly planning and reporting meeting (QPRM) in June 2016 which was attended by PDAs’ heads of departments, SOEs chief executive officers and members from commodity associations, who participated in the development of the sector priorities and high-level deliverables. An agreement was reached that all PDAs would support the delivery of the priorities. Workshops would be conducted from November 7-11 to review transversal indicators, and would be attended by managers from PDAs, SOEs and the DAFF to align indicators and importantly to ensure that new priorities like the Revitalising Agriculture and the Agro-processing Value Chain (RAAVC) programme were responded to. In 2014, the US had indicated that SA might not be eligible for African Growth and Opportunity Act (AGOA) benefits if certain sanitary and phytosanitary (SPS) issues related to poultry, beef and pork were not finalised. Other issues included geographic indicators (GIs) and tariff differentials between the United States and the European Union (EU), the pending Investment Bill and the Private Security Bill. Contentious issues related to AGOA agreements were around the import of pork, poultry and beef from the USA. Measures to be taken for the control of Porcine Respiratory and Reproductive Syndrome (PRRS) on the basis of the perceived risk for PRRS: this pig disease does not occur in South Africa. South Africa was among few countries without PRRS - imports are controlled by allowing countries with PRRS to export recognizable cuts (where all risk materials such as lymph nodes and connective tissue have been removed) for direct, unrestricted sale. During the negotiations, the USA requested SA to allow for imports of beef sourced from Mexico for direct slaughter to be exported to SA. The main issue was the amendment to the post import monitoring of poultry from the USA on the basis of Salmonella, particularly S Enteriditis and S Typhimurium. The Department commenced with the reconfiguration of the macro organisational structure into an integrated model (agriculture, forestry and fisheries). This project was critical in ensuring integrated service delivery and the ability to respond to the mandate of the Department. Both the stakeholder consultations, as well as reviewing internal business processes, were concluded. These consultations evaluated areas of organisational culture, the DAFF’s “Service Delivery Model”, its business processes and structure. To ensure institutionalisation of the outcomes of this project, the Department had also established internal technical reference groups that looked at the technical outputs from its service provider to ensure seamless institutionalisation of the outcomes and skills transfer. The DAFF communications team was prepared to start with information sessions in order to inform all DAFF employees of any major milestones achieved in this project. When the project is ready for implementation, there would be due care on the mainstreaming of change management in the entire roll-out of the reconfiguration of the macro organisational structure. Agro-industries value chain roundtables were established to provide a platform or a forum for the private sector and government to build and implement joint action plans to improve industry competitiveness, profitability and sustainability over the medium to long-term period. Currently, three value chain roundtables were operational within the fruit, aquaculture and wine industries. Requests for the establishment of value chain roundtables had been received from the red meat, poultry, tobacco and wheat industries. Issues currently being discussed during the roundtables meetings include trade, research, development and innovation, employment and worker welfare, transformation, resources, and workplace mediation services within the fruit and wine industries, facilitated by the Commission for Conciliation, Mediation and Arbitration (CCMA). There had been a collaborative effort between government and the fresh produce industry to improve the operations and service standards in the NFPMs. A national steering committee headed by the DAFF, which comprised key stakeholders, had been established to drive a programme called Project Rebirth. Codes of best practice (CoBP) for NFPMs had been developed and adopted by the fresh produce industry. The codes focus on ten pillars: regulatory environment, stakeholder engagement, consignment control, safety and security, hygiene, cleanliness and food safety, infrastructure, information management, risk and financial management, transformation and human capital development. The CoBP was currently, being implemented in the City of Tshwane, City of Johannesburg, East London, Kimberly, Bloemfontein, Port Elizabeth, Vereeniging, Springs, Pietermaritzburg, and Cape Town through the facilitation of the national steering committee. BBTV was detected for the first time in 2015 at one location near Hibberdene, on the South Coast, KwaZulu-Natal. It was reported to the DAFF in July 2015 by the ARC. Control measures were effected at the affected plantation. No planting material may be removed from the premises. All plants with disease symptoms must be destroyed. A steering committee was formed with industry and local government and an action plan drafted. There was no information available on how BBTV entered South Africa in the first place. The virus spreads through plant propagation material and the insect vector, Pentalonia nigronervosa (banana aphid). Both the virus and the vector were present at the affected area. Surrounding villages were already affected by the virus. If the inoculum is not removed, the virus will spread further with the aphid. It will require a delimiting survey to determine spread. A delimiting survey would cost between R50 000 - R100 000 per month per area. Research on the use and management of water by the agriculture sector. The Department had entered into an agreement with the Water Research Commission to undertake research on behalf of the DAFF for a further five years. To promote research on risk assessments, prevention and mitigation of disaster risks. The fund was operated directly at the national office. Provinces submit prioritised projects for discussion and approval by the relevant structures. The supply chain processes are then followed in appointing service providers. The provinces implement the projects while DAFF conducts overall monitoring and evaluation, and provide further support for the provinces during the implementation. The current allocated funding was not enough to adequately address disaster risks in the sector. A ring-fenced fund would ensure that intended disaster risk reduction activities were implemented. The process had been halted, to allow for the allocation of new fishing rights in 2015. Ms Siphokazi Ndudane, DDG: Fisheries Management: DAFF, took the Committee through the Horse Mackerel Experiment, protection of the seas, and a review of the Marine Living Resources Act (MRLA). She said Section 83 of the MRLA stated that any citizen of the Republic could apply for an experimental permit. In 2010, Global Pact, a 100% BEE company owned and managed by previously disadvantaged individuals (PDIs), had submitted an application to conduct a practical experiment on horse mackerel. The focus on horse mackerel by Global Pact was because almost all of this fish currently caught in South African waters was exported to West Africa for consumption by poor communities in those countries. Global Pact’s view was that most black communities in South Africa were almost similar in social and economic standing as the communities in West Africa and could therefore benefit from consuming horse mackerel as a cheaper alternative source of protein. The application was sent to the New Fisheries Scientific Working Group (NFSWG) via the customer services offices at ForeTrust Building, as this was the usual process for all applications to follow. However, the NFSWG chairperson had recommended to the then Chief Director (CD): Fisheries’ Research and Development (FR&D) that the application be turned down. In 2012, Global Pact had resubmitted the proposal and between then and 2014, there had been a long processes of resubmission and assessment of the proposal. In December 2015, the DAFF had approved the proposal as it was deemed to meet the broader objectives of government -- food security in particular. In 2016, the South African Deep Sea Trawling Industry Association (SADSTIA) and other fishing companies had brought a court case against the Department requesting the permit to be ‘revoked’. The lead person for SADSTIA, who was the author of the affidavit, was the CD:FR&D during the period this permit was declined. In August 2016, the Department opposed both the interdict and the application to ‘revoke’ the permit and won the interdict part, as the applicants withdrew during the court proceedings. In October 2016, the Department proposed to settle the litigation, given that the permit granted to Global Pact was valid until 14 December 2016, and the judgment would not be given before March 2017. The matter was considered settled. 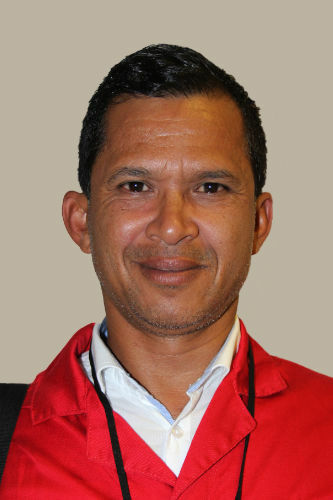 The Department was committed to pursue the socio-economic horse mackerel experiment in 2017 and until such time as the Fisheries’ branch was able to confidently determine the viability of harvesting this fish in South African waters. Insufficient funds for vessels operating costs. Successful prosecution of high flyers (national and international syndicate leaders) in order to control the supply. Proper documentation and reporting on all confiscated fish. (6) Improved information management on marine-related illegal activities through developing an electronic data system, to detect data fraud, and for statistics on marine crime and vessel inspections. Aquatic animal health was not provided for adequately in the Marine Living Resources Act (MLRA). Regulation 71 was out of the scope of the MLRA, illegal, and not enforceable. It was critical that the scope of MLRA was broad enough so that the Minister had powers to gazette appropriate regulations. South Africa had ratified Commission for the Conservation of Southern Bluefin Tuna (CCSBT), the Indian Ocean Tuna Commission (IOTC) and the Port State Measures Agreement, and these must be incorporated into the domestic laws such as the MLRA. MLRA must provide for foreign fishing reefer and carrier vessels entering SA waters and the charging thereof. It needed to be aligned to the regional and international protocols and best practice to ensure optimal domestication of the provisions of these instruments. The Act must also provide for the undertaking of socio-economic research and appointment of experts in this field. A legal team was going to be appointed to start working on these matters. Timeframes would be determined only once a comprehensive determination of what needs to be reviewed was done. Mr N Paulsen (EFF) said that the DAFF had lost the opportunity to determine the use of the drought tolerant maize, due to a skills shortage and because they could not monitor it. He further wanted to know how the problem of a provincial Department that refused to work with the National Department was going to be resolved. 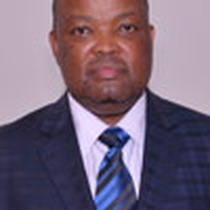 The Director-General, responding on provinces refusing to work with the Department, explained that this situation had been in existence when he joined the Department. The problem lay in leadership. There were strategies for handling the problem. No funding would be cut, and his office was in control of the problem. The Chairperson added that there must be a process that allowed this challenge to be facilitated. It might be a good idea for the Committee to engage with the affected provinces. Mr P Maloyi (ANC) wanted to know what the perceptions were regarding the drought tolerant maize seed, and why it was difficult to provide and make available. He also asked for clarity on the distribution of the veterinary mobile clinics. The Director-General, regarding drought tolerant maize seed, said that people who start pilot programmes know what they want to achieve, as they have a deep interest in the matter. The 70 00 tons of seed were going to be distributed to smallholder farmers, especially those in rural and drought-stricken areas, and the Department was going to report back to the Committee. The Minister, concerning the allocation of veterinary trucks, said the vehicles could not be made available to the rural areas because there was no accommodation that suited them. Therefore the Department needed to relook at their deployment and the infrastructure in rural areas. Dr Botlhe Modisane, Chief Director: Animal Production and Health: DAFF, added that the prefabricated trucks were more sophisticated than the light delivery vehicle (LDV) trucks. The Western Cape had received more LDVs, but no prefabricated ones. The prefabricated ones were more in the Eastern Cape. The main point was to improve access. More investment had been made in the rural areas. He commented they also looked at the population size, because there were diseases that could be transmitted from animals to humans, and that was why one would find that there were more veterinarians in the Western cape, Gauteng and Mpumalanga. Mr Maloyi responded he was not convinced with the explanation given regarding the distribution of veterinarians -- that it was based on the human population rather than the animal population. The Chairperson said there was a need for a change in mentality. To have more veterinarians in areas like Gauteng could not be allowed, as many people did not even use state veterinarians but preferred to use private veterinarians and clinics. Dr Modisane said the DAFF was looking at increasing the intake of the community veterinarians in the next few years and would try to take into account the issues the Committee had raised. Mr N Capa (ANC) asked how rural farmers were accessing the vaccine for Lumpy Skin Disease. The Minister replied that the Department needed a coordinated approach in fighting the disease in order to know how many cattle there were in the affected village. The Chairperson asked for clarity on the FMD challenges, and how they could be resolved. She also asked if the Department was making use of the Onderstepoort Biological Products (OBP) and ARC vaccines, and what the impact of the drought resistant maize was on addressing the problem of drought. The Minister stated that the FMD challenge was two-pronged. Firstly, one had to identify its recurrence, and then quarantine the affected cattle. He said this happened mostly at the borders, when buffaloes escape from the Kruger Park. When buffaloes graze, they leave saliva on the grass and this gets to affect the cattle when they graze on the same field. More needed to be thought about this thoroughly. On the impact of the drought resistant seed, he said that 70 000 tons had been made available, but most farmers did not want to plant more of this seed. The Department needed willing farmers, who were entrepreneurial, to plant this maize seed. Dr Modisane, responding on the issue of the OBP and ARC vaccines, explained that the OBP offices had been visited to assess the availability of vaccines. The vaccines were available and were kept in a cold store room. Vaccines for Lumpy Skin and Blue Tongue were available. Dr Cornelius, an executive director of OBP, had been asked what the problem was regarding the availability of drugs, and he had informed them they did not have control over who bought the vaccines. People and companies bought in bulk, or all the vaccines, and when another supply arrived, the vaccines were sold out completely. For lumpy skin diseases, Europe uses the OBP vaccines. Farmers have to be advised to vaccinate in time and make sure that vaccines are available. The Chairperson remarked that the relationship with provinces was important when it came to getting vaccines from OBP. The provinces should be made distributors of the vaccines, because they were closer to the people where things were happening. The Minister added that they had met with OBP and requested provinces to use OBP as a supplier of choice. The OBP was willing to cooperate with the provinces. The challenge was to get the provinces to endorse OBP products. The Chairperson asked how far the Department was on the Animal Welfare Bill or if it was waiting for the appointment of a new person, since the one who had been running it had passed on. Dr Modisane replied they needed to finalise the policy framework first, and still adopt the Agricultural Policy Action Plan (APAP). Mr Maloyi wanted to know what the terms of the horse mackerel court settlements were. He also asked what the timeframes were regarding the DAFF integration process and the implementation of a multi-pronged strategy. Ms Ndudane replied that there was only one issue regarding the horse mackerel court case, and it was about the amount to be paid on legal costs. The state and the applicant were going to share the legal costs. DAFF was going to pay 50% and the applicant would pay the remaining 50%, and then the case would be withdrawn. Concerning the timeframes for the DAFF integration process and multi-pronged strategy, she said work was still in progress and the Department was still raising funds to start some of the projects within these processes. Ms Z Jongbloed (DA) asked what plans were in place, seeing that the budget for the vessels had been decreasing while there were big challenges at sea. She wanted to know what was happening to the confiscated abalone. Ms Ndudane, on the vessel budget cuts, said that the cuts did not apply only to the vessels, but also to the DAFF in totality. Pertaining to confiscated abalone, she said people could not be incentivised to buy it because it was wrongly acquired. The interest should not be to buy it, but to protect it. Regarding the big challenges at seas, Treasury had been saying there was no money to meet these challenges, but now there was a new budget. There was a joint effort between Operation Phakisa and other law enforcement agencies, not through the DAFF. Even though there was collaboration, not enough was being done, especially when one looked at the vast coastline that needed to be covered. The Chairperson commented that the Committee was of the view that Operation Phakisa would come with resources to address the issue of vacancies around monitoring and surveillance. The feeling was that it was going to coordinate matters and make sure things were done efficiently. She added that the proclamation on mining in the sea was going to destroy the lucrative fishing industry. She asked if the intention of Operation Phakisa was not to ensure that marine resources were protected. The Minister elaborated that when Operation Phakisa was launched, the aim had been to understand what was happening in SA’s oceans. The issuing of mining licences for mining in the seas would be challenged, and the matter would be discussed with the Minister of Mineral Resources at a meeting to be held in November 2016. The Director-General suggested that Ms Ndudane should draft a strategy on what kind of fisheries strategy SA would like to have. He also said Operation Phakisa was dominated by the influence of doing things in the homelands, where there was plenty of land. The Chairperson suggested that the Department should try to collaborate with the Department of Rural Development and Land Reform (DRDLR) because it had a budget that catered for land care related matters. The DAFF’s grants were too little and that was why it had to work with the DRDLR. Mr Maloyi wanted to know if the process of allocating fishing rights had been halted. He further wanted to establish what the implication were regarding the transfer of agricultural colleges to the Department of Higher Education and Training (DHET), and what the debate was all about. Lastly, he asked if the Department had interacted with OBP and ARC regarding the vaccine for BBTV. Ms Ndudane, on the allocation of fishing rights, said that the process of allocation had not been halted. What had been halted was the development of the Fisheries Charter. Dr Nthabiseng Motete, Group Executive: Crop Science, ARC, responded on the BBTV issue, and said the ARC had informed the DAFF about the outbreak The ARC was busy with research on the transmission of the virus on the vector. It was working with the DAFF, and should there be conclusive information, the information would be communicated to the Department. The Minister, responding on the issue of agriculture colleges, explained that the debate had been between officials of the DAFF and DHET. The key thing was to establish the relationship between the two departments. The DHET did not understand that these colleges were also training farmers, not only extension officers. Another thing was for the students to be able to access the National Student Financial Aid Scheme (NSFAS) funding, because they never benefited from it. The Chairperson remarked there should be standardisation of the agricultural colleges, because some of them were under provinces while others were under the Department. The colleges should provide practical training, not theory only. She said the agricultural high schools should also be protected, because they fed these colleges. The chairperson also asked for clarity on the 30% of CASP taken into Fetsa Tlala. The Minister said the farmers were not happy with the way the Fetsa Tlala and Ilima/Letsema programmes were managed, and this included CASP as well. It was difficult to see what the impact was on the ground.